In order to climb on our walls, you need someone trained in managing ropes. We only have staff available to do so during Staff Belay on the weekends. 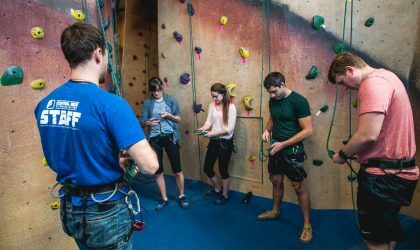 If you’d like to learn yourself, take our belay class! 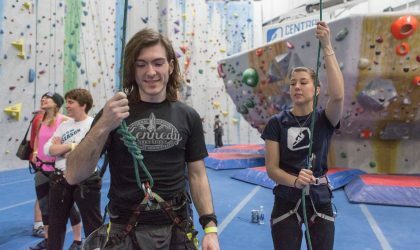 You’ll be introduced to the gym, instructed on both climbing knots and proper belay technique, and afterward, you’ll get your climbing experience started. Ages 13+. Online registration required. In order to climb on our walls, you need someone to manage the ropes. 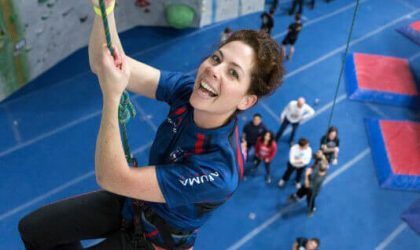 Our Staff Belay option gives you an hour with a staff member who will manage the ropes for you and help get you up the wall! It’s only offered at certain times, so be sure to register ahead of time! 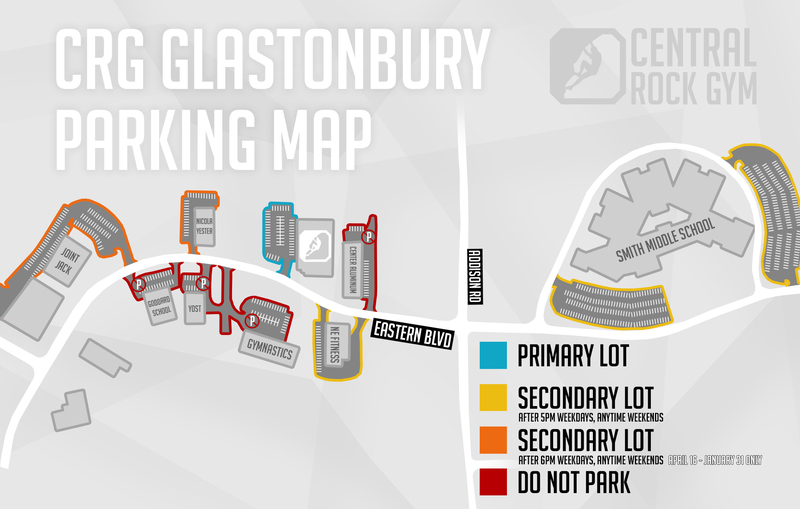 Here at Central Rock Gym, we offer a variety of options for every skill level. Let us help you find the best way to begin your journey into the world of climbing!